Show your support for home-grown talent by browsing your local craft markets, second-hand clothing stores, charity shops and e-boutiques. Not only can you get some unique and interesting pieces but you would also help sustain local businesses and, in some measure, be taking a stand against the fashion giants that exploit cheap labour in the name of style. Personally, I adore craft markets, particularly ones that stock African-inspired clothing and accessories. I’ve acquired a beautiful collection of interesting shoes, handbags and jewellery sourced from markets and small boutiques. These markets can also be a great source of stylish and sustainable fashion made by locals from recycled materials. Another great way to avoid handing your money over to design houses and commercial manufacturers who exploit human rights and destroy the environment is to skip the mall completely and browse your own wardrobe for those statement pieces that have been sitting there for a while. Or do what I do sometimes and raid somebody else’s closet! Fashion is cyclical. Vintage pieces rarely ever go out of style and you never know when some of your older clothes will be on trend again. Unlike the rich and famous, many of us don’t have the luxury of wearing an outfit only once. Obviously, there are some looks that just can’t be repeated but there are plenty of classic pieces that can be restyled, revamped and re-imagined to create several new looks. Think Tiffany Haddish or Kate Middleton who, despite their money and status, have opted to wear some of their favourite dresses more than once and each time looked effortlessly chic. I have a number of great pieces I that have remained in excellent condition over the last few years. And luckily for me, my incredibly stylish mother and I are pretty much the same size so we often exchange clothes. So next time you’re stumped as to what to wear to a wedding, dance, cocktail function etc., I would suggest you try fishing out the staple LBDs, vintage handbags, the skirt you borrowed from your sister and the fabulous fashion jewellery you’ve had stashed away and forgotten about. You can get creative, or enlist someone else’s help, and come up with an entirely new look for some of your clothes. Again, there are times when being a socially responsible shopper could, ironically, mean not being a shopper at all. Instead, it might entail fashioning your own fashion. Of course, this is easier said than done. You would need to have the right knowledge, skills, tools and materials to make your own clothing and accessories. But there are many resources you can consult to learn how to make your own stuff (thank goodness for YouTube!). Alternatively, you can commission someone to create custom garments and accessories for you. Moreover, the most ideal scenario would be to use materials that are recycled and/or manufactured responsibly. Fortunately for me I’ve got my mum who just so happens to be a fashion designer! She’s always made clothes for me, whether I couldn’t find something at the shops or simply wanted something unique for a special occasion. She also taught me how to make my own clothing which has been an incredibly useful skill to have. Also, since 2011, I’ve been making my own jewellery using an assortment of beads and scraps of fabric and at times, I like to refurbish and revamp my old earrings and bangles. Consumers often find it difficult to gauge which companies deal in conflict-free jewellery, engage in ethical clothing production practices and make a concerted effort to be socially-responsible because it could often just be window dressing. Going the DIY fashion route is a great way to avoid supporting fast fashion brands that exploit human rights. Another way to be more socially responsible in the way you shop is to support the eco-friendly and social initiatives/projects aimed at reducing the adverse impacts of the fashion industry. You can back the businesses that actually do their part to respect human rights and remedy violations. H&M, for instance, runs a green initiative where customers drop off bags of old clothing, no matter the brand or condition, in exchange for a modest fashion voucher. Since 2017, they’ve collected the equivalent of just over 89 million T-shirts which they’ve also used to make new textiles for some of the clothing sold in-store. This project was started to combat the exorbitant amount of waste that ends up in landfills when clothing is thrown away. In the same vein, you could also give away old clothing that is in a better condition to a local charity or second-hand store. This is an efficient way to clear out long-abandoned items from your wardrobe that are simply gathering dust but can be acquired by someone who’s going to cherish them for ages. Also, by buying from and donating to these shops, you can find some gorgeous vintage pieces, support a charity in your area and avoid spending your money on the designer labels that are built on abusing human rights. Lastly, another important step towards becoming a more socially responsible shopper is to do your homework. Research, read and recount to others what you know. A simple Google search of terms like,“fashion and human rights,” “ethical fashion” and “fashion and the environment” can expose you to so much about the true environmental and human rights costs of fast fashion. Moreover, you can find useful info on the social and ethical fashion initiatives you can get involved in. The Business and Human Rights Resource Centre, for instance, is a great online resource for the latest developments on human rights and business generally as well as news on the human rights impacts of the fashion industry. There are several video clips, blog posts and articles that unpack the latest in legal developments around these issues. If you’re already operating a large-scale fashion business, have you familiarized yourself with key human rights standards and guidelines like the Guiding Principles on Business and Human Rights? Once you get the info you need, it doesn’t hurt to pass it on and get the word out. Social media has made this much easier these days. And then take the ‘clicktivism’ a step further by writing about these issues in a blog post, article or even an academic research paper and do your part to help local fashion industry grow. 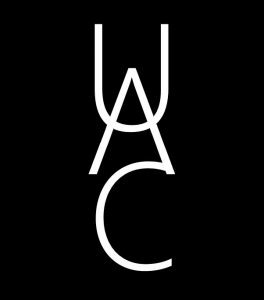 Urban Afro Concept (UAC) is looking to hire two (2) enthusiastic and personable brand ambassadors who have great social media presence and epitomize urban-afro chic! The ambassadors would work remotely from any location and be employed part-time over a period of 6 months. We’re looking for someone who could generate high-quality content to actively promote our brand within your social networks. We’d provide you with most of the merch you need to carry out the job but would ideally like you to independently and creatively endorse our brand over social media. We welcome applications from absolutely anyone, guy or girl, who meets our requirements. The ideal UAC brand ambassador carries his or herself well, has excellent communication skills, a great sense of style, a knack for marketing, is passionate about fashion and, of course, knows and loves UAC and our products. Visit our website for further details of our requirements and information on how to apply. Deadline for applications is 22 February 2019.